Ever wish that you could have a "do over" after a conversation at work? Do you often find yourself regretting what you've said to a coworker - or kicking yourself for not saying something better, stronger, or more precise? 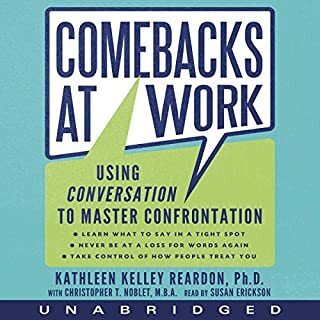 If so, you're like most people, and in Comebacks at Work, management professor and consultant Kathleen Kelley Reardon, Ph.D., provides the tips and tools you need to know what to say - and how to say it better - next time. This book teaches you the vital skills you need to confront others, communicate effectively, and live a more conflict-free life. 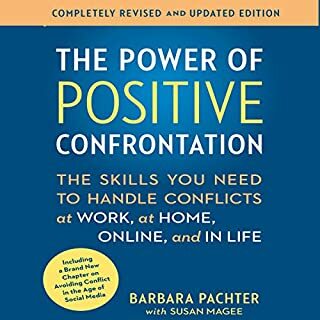 In this updated edition, communications expert Barbara Pachter shares a practical, step-by-step guide to tackling conflicts in any situation, including a new section on navigating sticky situations online. this will and did, help. This was not really what I expected. Success coach Dr. Tim Ursiny shows us that conflict can be a good thing, and facing up to it can lead to fantastic results. Interactive exercises will coach and motivate you to effectively deal with all types of conflict situations, with results that empower and really work! 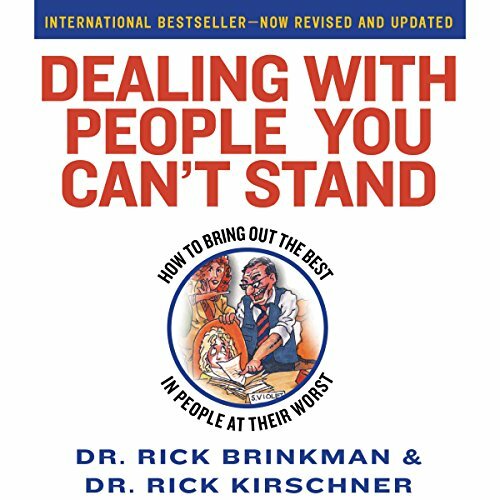 From Dr. Rick Brinkman, one of the best-selling masterminds who made Dealing with People You Can't Stand a little less painful - and a lot more productive - comes the much-needed cure for that time-wasting, headache-inducing, soul-sucking plague known as meetings. This proven step-by-step method addresses the most common problems that derail a meeting: preparation, people, process, and time. Would you try another book from Rick Brinkman and Rick Kirschner and/or Rick Brinkman and Rick Kirschner ? I would read another book by these guys....I only wish that there had been more emphasis on tools for coping with difficult people! 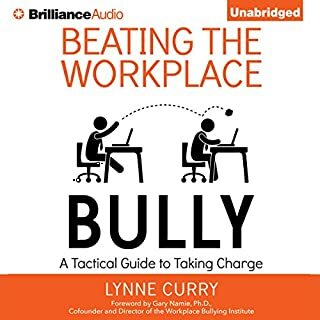 This is nothing short of an excellent road map to get you through the day intact in the intricate world of business culture. I use what I learned in this series all day long in the hurricane of a bustling hospital culture, though it would be applicable in the context of any group setting. Learn how to identify those snipers and tanks, neutralize them, and then move forward with love. Tactics and strategies that make sense. 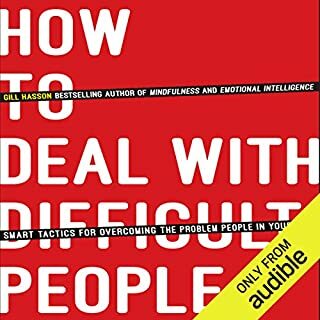 Would you consider the audio edition of Dealing with People You Can't Stand to be better than the print version? The narration is fine, so the audio version may be more convenient that the print version. What other book might you compare Dealing with People You Can't Stand to and why? I've also read 'Who's Pulling Your Strings' which is also good. Have you listened to any of Rick Brinkman and Rick Kirschner ’s other performances before? How does this one compare? First book from this author. This book deals with different personality types and how they end up in conflict. The advice on how to deal with situation is very simplistic and practical. 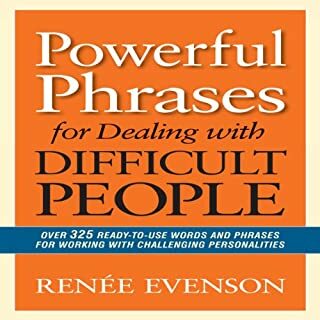 After reading this book I feel must better prepared to deal with difficult people. If you could sum up Dealing with People You Can't Stand in three words, what would they be? What was one of the most memorable moments of Dealing with People You Can't Stand? What does Rick Brinkman and Rick Kirschner bring to the story that you wouldn’t experience if you just read the book? 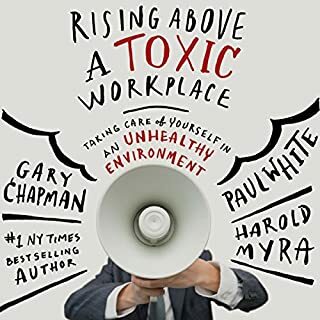 Excellent book for those in business (or life in general) needing to cope with those annoying people who seem everywhere! Great book for success. I have used this information and found it to be very effective. I would recommend this to anyone no what the relationship this works. Great technique to put in my reference tool box. Especially loved the chapter summaries. The narrator's were easy to listen to. I will use the tools in this book to grow peaceful conversations and solutions in all areas of my life. I'm grateful for it!